Pip and Shannon dreamed of living the good life. They wanted to slow down, grow their own food and spend more time with the people they love. But jobs and responsibilities got in the way: their chooks died, their fruit rotted, and Pip ended up depressed and in therapy. So they did the only reasonable thing – they quit their jobs, pulled the children out of school and went searching for la dolce vita in Italy. One Italian Summer is a warm, funny and poignant story of a family’s search for a better way of living, in the homes and on the farms of strangers. 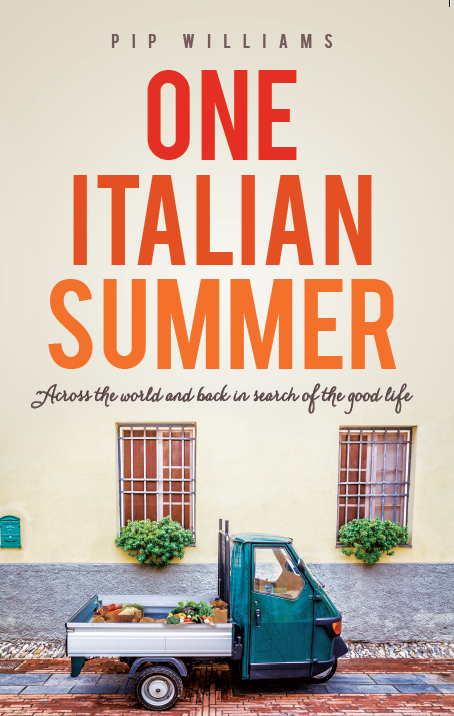 Pip sleeps in a tool shed, feasts under a Tuscan sun, works like a tractor in Calabria and, eventually, finds the good life she’s always dreamed of – though not at all where she expected.